I've mentioned before that I am looking to eventually pick up a set of chess playing pieces but I have found something extremely affordable to tide me over. 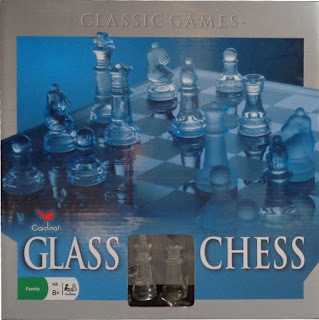 Recently, when stopping in a Goodwill Store to check for gaming and book bargains, I stumbled across a glass chess set for two dollars. I've seen these before but had ignored them yet this time I looked more closely. It was complete and intact, so I grabbed it and brought it home, setting it up on top of the board I already have, since it fits. This isn't the set I plan to get eventually but it is something for the time being to have handy. 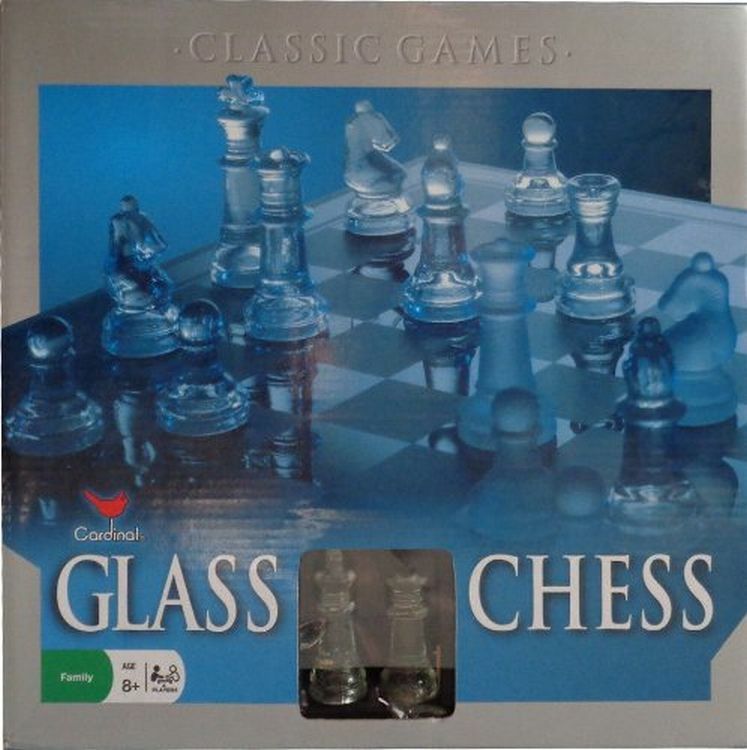 Although some sets of glass chess pieces can run $50 or more like here on Amazon. A quick eBay search shows sets similar to the one I picked up running less than ten bucks apiece here.